Hideo Sunami, Mitsumasa Koyanagi and Kiyoo Itoh are responsible for three of the major milestones in the evolution of modern dynamic random access memories (DRAMs). Their development of trench and stacked capacitor cells and folded data line cells resulted in unmatched high signal-to-noise ratio. Today, three decades after their invention, these cells remain the de facto standard for the DRAM industry. Dr. Sunami was, in 1975, clearly ahead of his time when he invented the trench capacitor cell while the 4Kb DRAM was still the industry standard. This capacitor ultimately drove the development of dry etching, defect control and inspection associated with high-aspect ratio trenches. Today, the trench capacitor cell is used widely in commodity DRAM products and embedded applications. The concept also includes present cylindrical stack capacitor cells. 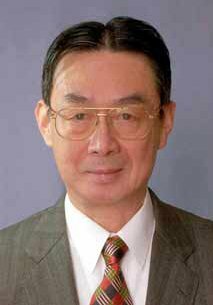 He is currently a professor at the Research Center for Nanodevices and Systems, Hiroshima University in Hiroshima, Japan. An IEEE Fellow, Dr. Sunami is the recipient of the IEEE Cledo Brunetti Award, the IEEE Electron Devices Society (EDS) Paul Rappaport Award and the Tokyo Governor’s Award - Distinguished Inventor. This page was last edited on 28 January 2016, at 17:36.